“Dad, will Gilligan be in heaven?” my daughter recently asked as Gilligan was laying on his back and she was scratching his belly. Gilligan is the family dachshund. She loves him, and he tolerates her, though he is playing with her more as she is getting older. She is a huge animal lover, and I would not be surprised if she is a veterinarian when she grows up. It makes sense that she would be concerned with his eternal welfare. Wow. That made my wife and I stop what we were doing to talk together as a family. “Don’t you know what it takes to go to heaven?” we asked her. Of course, she did, and told us that she has asked Jesus to forgive her. By the end of the conversation she was sure that she would go to heaven, though we are not sure if she will see Gilligan there. To borrow a line from the great chef Emeril Lagasse “BAM!” That, my friend, is family ministry. Family ministry is ministry that happens within the family. Simple as that. It happens when parents or guardians pause and hear what their kids are saying, and engage them in spiritual discussions where they are. Some think that family ministry happens at family bible study. And it could, but it doesn’t have to. Some believe that family ministry starts with church. It could, but it doesn’t have to. Family ministry is simply taking time out of your day to discuss spiritual matters with your kids. In my mind, it is easy in definition, but difficult in practice, but it doesn’t have to be as difficult as you may think. I have 1 thing to say to parents, and 1 thing to say to ministry leaders concerning family ministry. Parents: Take advantage of daily activities and conversations in order to build upon your child’s spiritual foundation. When your child falls and scrapes their knee, you can talk to them about God being able to heal them, and you can pray. BAM! Family ministry. When they have toys that they don’t want to play with anymore, talk to them about showing God’s love to someone less fortunate and donate their toys. BAM! Family ministry. When you get angry and lose your temper (which I am sure you never do! ), take a minute to apologize and explain that even adults commit sin and need to ask forgiveness. BAM! Family ministry. Ministry Leaders: Understand that it is not your responsibility to create a spiritual foundation in the kids in your ministry. You can help build upon the foundation and also teach parents how to build upon it. Do what you can to assist parents in creating that ‘ministry time’ at home. That may be through parenting seminars, providing devotional resources, or family programming. As simple as it sounds, it is not always easy to do. I think it is important to remember that when talking about family ministry there is no right or wrong. Our focus should not be on how to do family ministry. Our focus should be to make sure family ministry is happening. No matter what form it takes, whether I mentioned it or not, parents and guardians should be doing all they can (with help from the local church) to ensure their children grow up with a strong spiritual foundation, because at its core, BAM! that is Family Ministry. Here are a few Family Devotions to get you started! How do you define family ministry? What did I miss? What do you do to encourage spiritual growth in your kids? I believe that family devotion time can have a huge impact on creating a spiritual foundation in your kids. 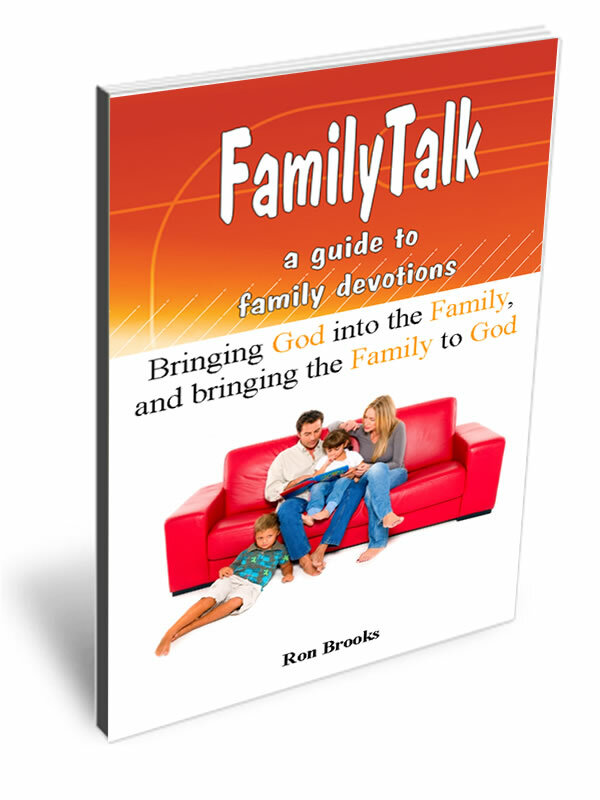 That's why I created FamilyTalk: a guide to family devotions. Please accept a FREE copy as my way to say thanks for stopping by. Be the first to comment on "What is Family Ministry?"